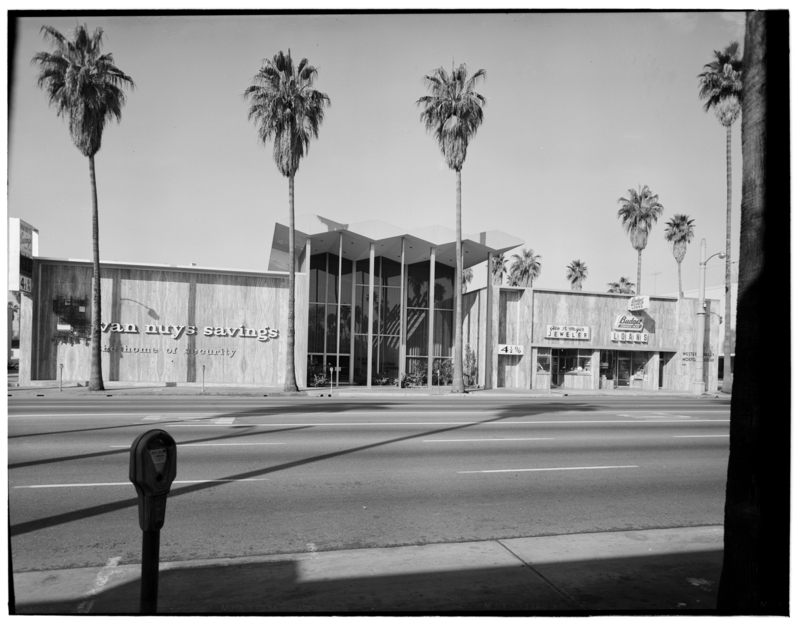 In an earlier post, I wrote about the old Van Nuys Savings and Loan, at 6569 Van Nuys Boulevard. It was built in 1955 and designed by architect Culver Heaton with murals by noted artist Millard Sheets. 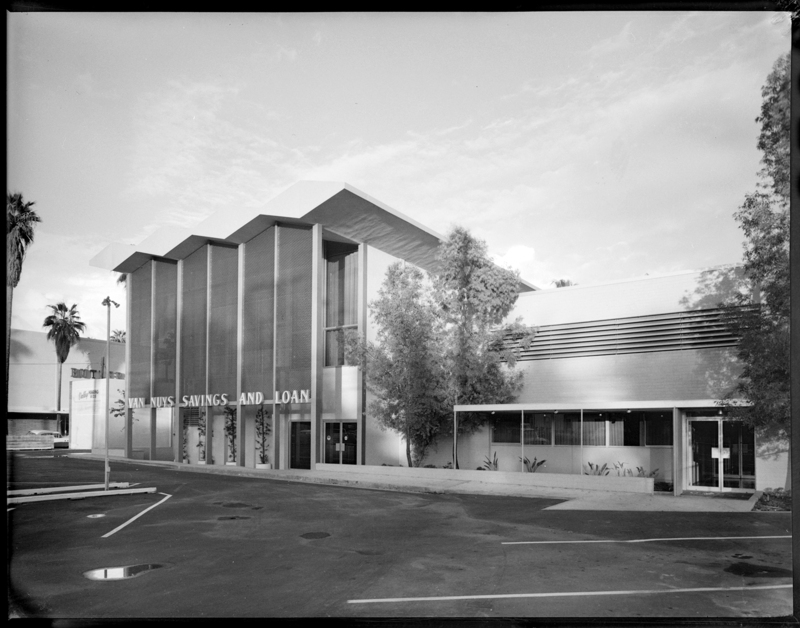 Modernity and innovation were expressed in its zig-zag roof, screened metal panels and wide, airy interior, a place of efficient banking and progressive faith in the future of Van Nuys which was booming in housing, retail, industry and education. This was a place for people to save and earn 4 1/2% annual interest, guaranteed. This was an institution whose name was spoken of with pride. And who worked within the community to loan money and helped invest in productive enterprises. 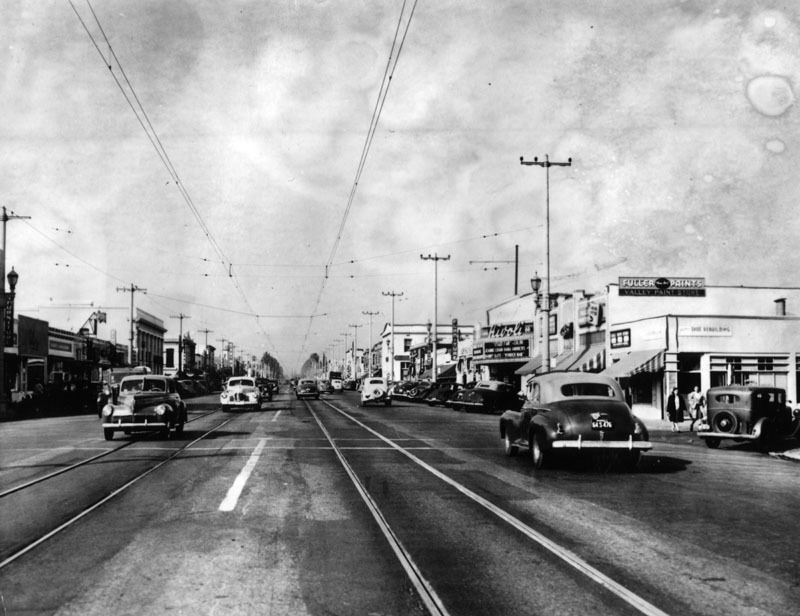 Nobody in 1955 could have imagined what Van Nuys has now become. 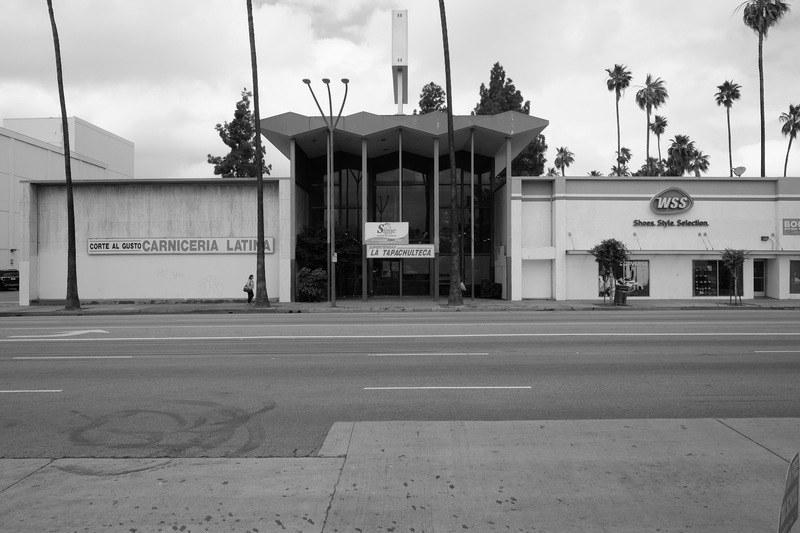 La Tapachulteca is a Guatemalan grocery store that currently occupies the old bank building. I came here and photographed the exterior just as photographer Maynard Parker once did. 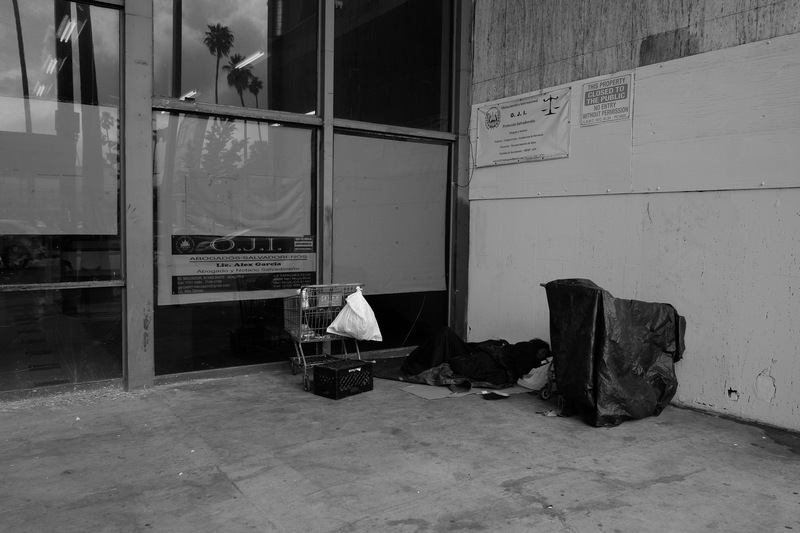 Yesterday, May 20, 2016, on the same day the brand new Expo Rail line opened to connect downtown to Santa Monica, a homeless woman slept here in a pigeon pooped, urine sprinkled, dirty entrance where unwashed windows and grime completed a scene of degradation and filth. Los Angeles is building its future in public transport by emulating the past. 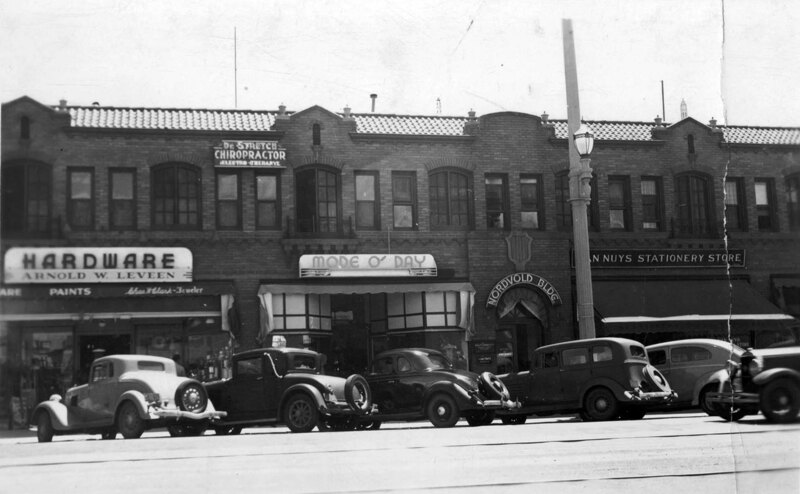 Streetcars once ran up and down Van Nuys Boulevard. Service stopped in 1952. 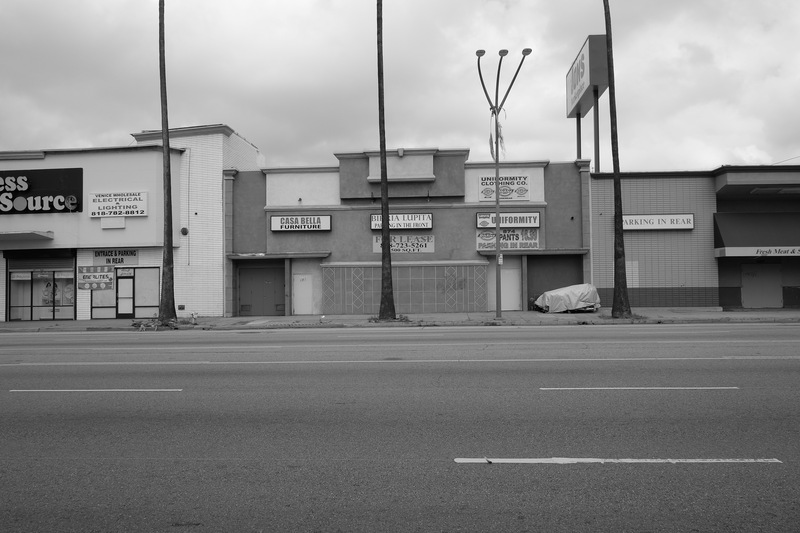 The boulevard was widened to accommodate more cars, and vast parking lots were built behind Van Nuys Boulevard, while walls of blankness went up on the street because all activity was now behind. The street went dead. And now only cars promenade along the boulevard, or rather speed past without stopping. 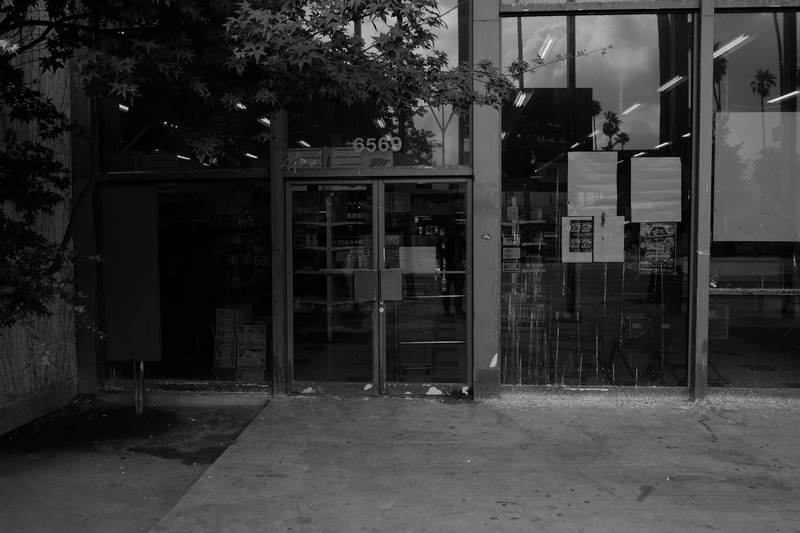 The store, like the bank before it, is scheduled to close down. In its place, a new mixed-use residential/commercial building will be erected. The bank building, once an architectural jewel, will be bulldozed and dumped and carted away. Perhaps a community needs to hit rock bottom to again climb up into prosperity. If one building’s decline is emblematic of a whole area’s fall, can a new structure represent a new beginning for an entire area? What documentation do we have for when the building was finished? Van Nuys Savings and Loan had another branch further north on Van Nuys Blvd, just south of Roscoe. 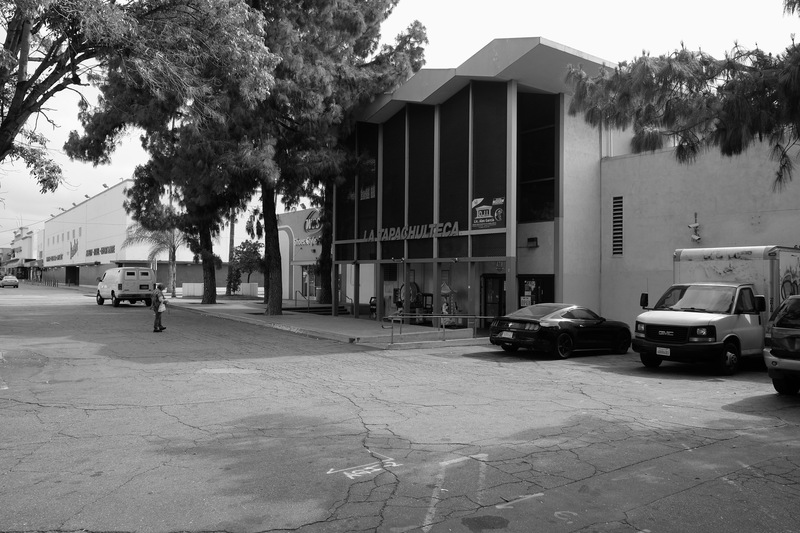 It was the building on the west side of the street with the curved architecture. 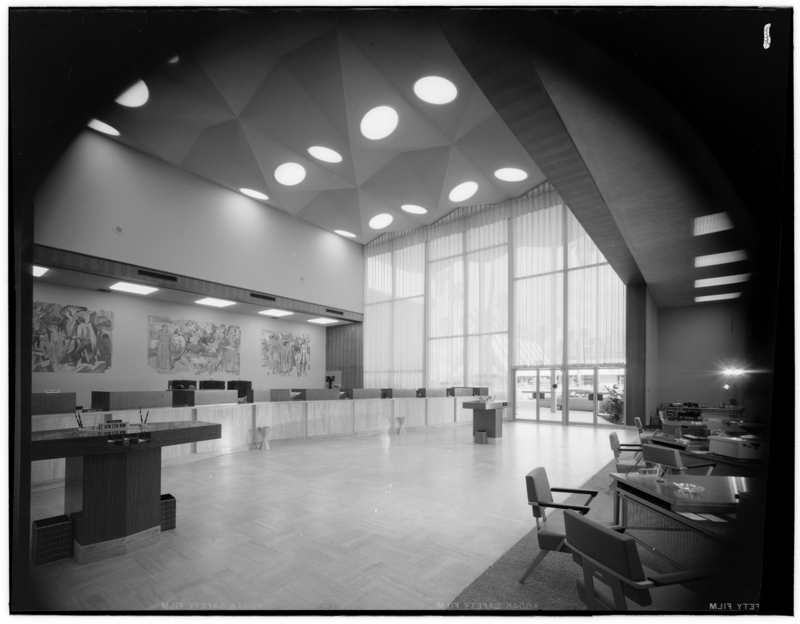 In the first photo, the area to the left side was the original building for the bank and the more modern architecture was added later. I think in the early 60s. In the 60s Van Nuys Blvd was bumper to bumper on Wednesday nights because that was car club night. It was fun the cruise the blvd. but the car dealerships didn’t like it because it cut into sales. Thanx again for revisiting the building. Groups like Van Nuys Nbrhd Council need “straw polls” on issues like this. Our Planning and Land Use Committee has 2 members involved in the building trades–and only one “preservationist”–me– So–you’ve “list” something you never knew was “in play”.